A single man who raises his child prodigy niece Mary, Frank gets drawn into a custody battle with his mother. With the director of Amazing Spider-Man and the lead of Captain America in tow, one might expect 2017’s Gifted to provide a superhero adventure. Instead, it offers a family-oriented drama. After his sister Diane commits suicide, Frank Adler (Evans) becomes the guardian for his seven-year-old niece Mary (Mckenna Grace). She shows advanced mathematical skills and Frank respects these talents but he works hard to ensure that his niece leads as normal a life as possible. Frank’s mother Evelyn (Lindsay Duncan) feels differently and wants to take charge of Mary’s upbringing – including an education that takes her away from same-age peers. Because he fears the risks to Mary’s emotional/social development, Frank fights against his mother’s wishes. I guess 2017 is a big year for math in the movies, as the Oscar-nominated hit Hidden Figures also concentrated on characters with those talents. Heck, both films even use Octavia Spencer in prominent roles. Gifted didn’t make nearly the same commercial or critical dent as that flick, though – and for good reason. While I wasn’t wild about Figures, it offered a much more compelling experience than the murky, sluggish Gifted. 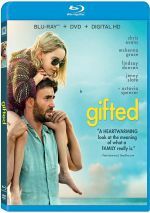 This feels like a shame, as Gifted features an important debate at its core. I work in education so I see the conflict between a push to optimize potential versus the desire to let kids lead normal lives. There’s no one-size-fits-all answer to this dilemma, but Gifted still drops the ball, partly because it paints the grandmother in such an ugly light. Yeah, the film allows Evelyn to loosen up a little as it goes, but it’s clear from Minute One that we’re supposed to side with charming, handsome Frank, not his Cruella DeVil-ish mom. The inherently one-sided nature of the movie becomes a massive issue, and Gifted doesn’t compensate in other ways. The film explores topics in a relentlessly one-dimensional manner and doesn’t posit a cliché that it doesn’t love. Nary a moment of originality emerges here. Evans does pretty well as Frank, I’ll admit, and the other actors back him up to a satisfactory degree. Heck, Duncan even manages the occasional glimpse of humanity within her hard-edged character to emerge. These factors don’t become enough to redeem Gifted, though. It seems too packed with trite concepts and unfulfilling character journeys to deliver an inspiring, insightful drama. Gifted appears in an aspect ratio of approximately 2.40:1 on this Blu-ray Disc. The movie came with a good but not great transfer. Sharpness looked mostly positive. A little softness cropped up during occasional interior shots – usually in classrooms - but the majority of the film was fairly accurate and distinctive. I witnessed no shimmering or jaggies, and edge haloes remained absent. As expected, the film lacked any print flaws. In terms of palette, Gifted went with a mix of orange and teal. Within the stylistic choices, the hues seemed fine. Blacks were deep and tight, and shadows looked smooth and clear. Although the image didn’t dazzle, it seemed satisfactory. The movie’s DTS-HD MA 5.1 soundtrack suited the story. This meant the soundscape accentuated general atmosphere and not much else. Elements like those on the beach or in bars added a little breadth but not much. A smattering of extras appear here, and we find five Promotional Featurettes: “HBO First Look” (13:32), “Story” (2:08), “An Accomplished Cast” (2:06), “Inside the Equation” (1:37) and “Marc’s Method” (1:27). Across these, we hear from director Marc Webb, producers Andy Cohen and Karen Lunder, writer Tom Flynn and actors Chris Evans, Octavia Spencer, Mckenna Grace, Jenny Slate, Glenn Plummer and Lindsay Duncan. The featurettes look at story/characters, cast and performances, and Webb’s impact on the production. The clips live up to their billing, as they’re superficial promotional fare and nothing more. On Location goes for one minute, 57 seconds and features Evans, Grace, Lunder, Cohen, Webb, Spencer, and Slate. It’s nothing more than an ad for the town where they shot the movie, so don’t expect anything from it. Five Deleted Scenes fill a total of eight minutes, 13 seconds. In these, we get more from the psychologist who assesses Mary as well as some other character tidbits. None of them seem especially meaningful. A Gallery includes 24 photos. It mixes movie shots and stills from the set to create a lackluster compilation. 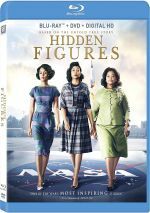 The disc opens with ads for Step, Hidden Figures and Table 19. Sneak Peek adds clips for Wilson and My Cousin Rachel. We also find the trailer for Gifted. A second disc presents a DVD copy of Gifted. It provides the same extras as the Blu-ray. With a good cast and an interesting premise, Gifted shows promise. Unfortunately, the film treats its ideas in such a simplistic manner that it fails to go anywhere substantial. The Blu-ray provides generally good picture and audio as well as minor supplements. Gifted lacks inspiration.